During his tenure, Wayne served on the Hancock County Community Foundation Community Relations Committee, Grants Committee, and Scholarship Committee. He provided leadership as Committee Chair to HCCF’s intense scholarship program for the past several years. Wayne is well known throughout the county for his contribution to education. Although retired he is sought out to substitute teach on a regular basis. 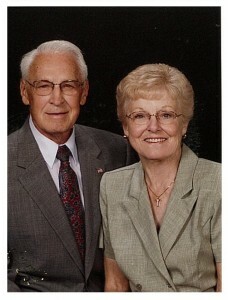 He and his wife Sally have been wonderful friends to HCCF through their participation in HCCF programs and activities. 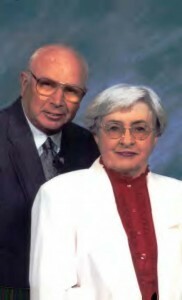 Wayne and Sally established the Wayne & Sally Beck and Families Community Development Fund. This comprehensive fund provides unrestricted income that allows HCCF the discretion to make grants that meet needs and opportunities as they evolve and change in our community over time. Established by Rick and Robert Roberts, this donor advised fund provides the opportunity and flexibility for the brothers to recommend charitable grants to HCCF. Named in honor of their grandchildren Mitch, Molly, Narcissa, and Camille, Mike and Susie Broome established this comprehensive fund to provide unrestricted income that allows HCCF the discretion to make grants that meet needs and opportunities as they evolve and change in our community over time. The Bubenzer’s created a fund that provides unrestricted income that allows HCCF the discretion to make grants that meet needs and opportunities as they evolve and change in our community over time. The Town of McCordsville established an endowment fund giving citizens the opportunity to “Build a Brighter McCordsville” by supporting improvements and maintenance of the Town Hall Park, as well as future parks and recreation facilities. Tim and Kim Clark moved to Greenfield in 1974. For 13 years, they called Greenfield home while Tim worked for Hancock Bank and Trust where he was mentored by Don Hatke who was President of the Bank. Hatke stressed the importance of giving to and being involved in the community. In 1987 they moved to Greencastle and then Seymour in 1992. 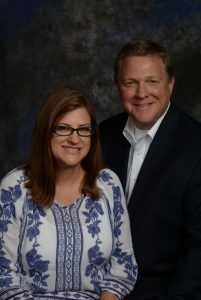 While living in Jackson County, Tim and Kim became familiar with community foundations through Tim’s involvement on the Jackson County Community Foundation board of directors for five years. They moved back to Greenfield in 1997. Tim retired from Ameriana Bank as the Executive Vice President and Chief Risk Officer in 2014. Kim was an English teacher at Mt. Vernon Middle School. She continues to educate minds at Greenfield Central School Corporation as a substitute teacher. Both love to volunteer but in different ways, Tim says. Tim serves on several boards in the community and began with the Hancock County Community Foundation (HCCF) board of directors in 2008. He served for nine years, including one year as chairman of the board. Kim enjoys volunteering on a more one-on-one personal level where she can help individual lives. In 2014, when GIFT VI came to fruition in the community, the Clarks decided to start an unrestricted fund with HCCF. This comprehensive fund provides unrestricted income that allows HCCF the discretion to make grants that meet needs and opportunities as they evolve in the community over time. They value the work of HCCF and give through the foundation to support Hancock County’s unique and diverse needs. Created by Rollin to honor his late wife and daughter, this fund provides unrestricted income that allows HCCF the discretion to make grants that meet needs and opportunities as they evolve and change in our community over time. Rollin had a special place in his heart and asked that when the needs of children arise, they be addressed with this fund. Irene and Bert saw the immense value in providing on-going support to HCCF’s mission to enrich and enhance life in Hancock County. They generously created this fund to provide a perpetual stream of operating income. The estate of Sue Dettwiler created a fund that provides unrestricted income that allows HCCF the discretion to make grants that meet needs and opportunities as they evolve and change in our community over time. 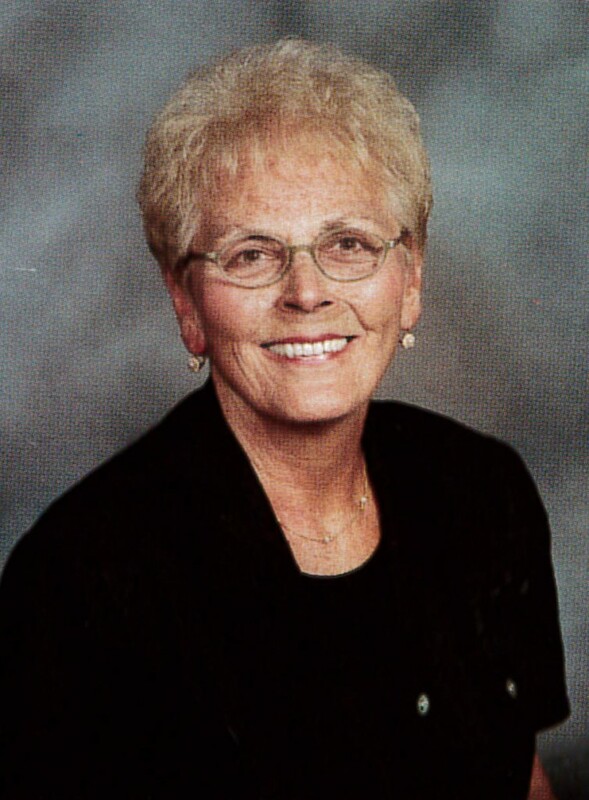 The Board of Directors established this discretionary fund in 2004 to honor Nancy Dezelan, long-time Hancock County Community Foundation Program Officer and first administrator of the Foundation’s grant and scholarship programs. Reflective of Nancy’s passion for Hancock County, the fund provides community enrichment grants that allow HCCF the discretion to make grants that address the ever changing needs and enhancement opportunities as they evolve and change over time. This donor advised fund provides Robert’s family the opportunity and flexibility to recommend grants to HCCF for charitable causes and organizations they feel compelled to support. Rick and Susan were born at Hancock Regional Hospital and are lifelong residents of Hancock County. 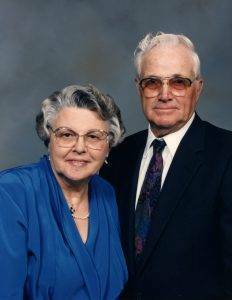 Both were raised on the farms of their parents, Robert & Jean Edwards and Kenny & Wilma Phares. 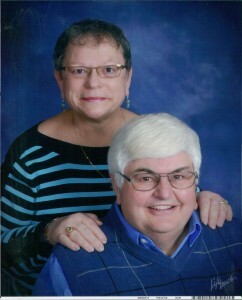 Both now work at the hospital where they were born; Rick as CFO and Susan as the Hospice Social Services Coordinator. They have two sons Ethan, married to Rhnea, and Luke. Both work in Indianapolis and live locally keeping their roots in Hancock County. Rick and Susan continue to enjoy the farm life near Mohawk. Both have deep roots in philanthropy. Many of the founding members of HCCF were close friends and family, including Susan’s father, Kenny Phares. “Since 1999 we’ve been fortunate to have the opportunity to serve and meet new people on the board and committees of HCCF who share our passions. We’ve also become better acquainted with several of the not-profit organizations filling a need in our community. The combination of the dedicated individuals and worthwhile organizations make interacting with the HCCF an incredible blessing,” shares Rick. The Robert G. and Wilma Jean Edwards Memorial Community Development Fund has been established in their memory to address the future needs of the citizens of Hancock County. This fund has been established by their children; Diana Lynn, Gary Lee, Roberta Jean (Bertie) and Ricky Paul (Rick) to honor their parents. Robert (Bob) was a life-long farmer, and grew up the son of a blacksmith on the outskirts of Fortville. Growing up during the Great Depression, he learned the value of hard work and honesty very early in life. 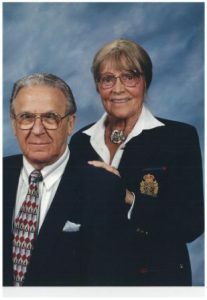 He and Wilma Jean moved to the Mohawk community soon after their marriage, where he became a very well respected member of the community. He was very involved with the Mohawk United Methodist Church. Bob was a Freemason, and also represented other farmers on the local Co-op Board of Directors. Bob always had a smile on his face no matter the circumstances, and never knew a stranger. His love for his children and grandchildren was unsurpassed. His teaching and example of hard work and honesty would be his legacy to his children and the people who knew him. Wilma Jean grew up on the outskirts of McCordsville, the first of five children of a farmer. She too grew up during the Great Depression and learned the value of a family working together to make ends meet. Whether it was milking cows or sewing clothes, her position of being the eldest child and helping take care of her siblings would help her prepare for her life to come. Soon after graduating from high school, she married, but World War II would take her husband of just a few months to Germany, where he lost his life at the Battle of the Bulge. This loss was devastating for Jean and she always had an empty spot in her heart for her first love. However, time moved on and two years later she met and married Bob, moved to just south of Mohawk and raised a family of four children. She enjoyed being a farm wife and participated in all aspects of farming from working the land to sewing on buttons, to preparing family dinners. Once all of her children were in school, she worked several years at Hancock Regional Hospital to help support the family farm. However her legacy will always be her award winning quilts, upon which she spent so much time and effort. The skills that she learned from her grandmother and mother earned her several recognitions from her peers. Their Children and grandchildren are proud to honor Bob and Jean. May their legacy live on. In 2019, Norman and Anne Elsbury established three community development funds to honor their children. This comprehensive fund honors their daughter Erin and her husband Jerry and will address Hancock County needs and opportunities as they evolve and change over time. In 2019, Norman and Anne Elsbury established three community development funds to honor their children. This comprehensive fund honors their son Kenny and his wife Lori and will address Hancock County needs and opportunities as they evolve and change over time. Terry and Linda Gellert are proud Hoosiers from Dearborn County, Indiana. They moved to Hancock County in 2005, when Linda was appointed as Superintendent at Greenfield Central School Corporation. Linda retired in 2014 after more than 30 years in education, teaching in Indiana, Oklahoma, Germany and the Philippines. She earned her Bachelor’s degree at Purdue, Master’s at Xavier, and Ph.D. at Indiana State. She serves on the Hancock Regional Hospital Foundation, and is a member of Kiwanis, Brandywine Creek DAR, and the First Indiana Company of the Jamestowne Society. Linda’s hobbies include travel, reading and genealogy. Terry Gellert, also a Purdue graduate, currently flies as a Captain with Delta Airlines. He is a retired U.S. Air Force Lt. Colonel, having flown F4’s and F16’s while active duty and in the Indiana Air National Guard. Terry’s service included overseas tours in the Philippines and Germany, and combat missions over Iraq during Southern Watch. Terry’s hobbies include farming and playing golf. The children of Stephanie White-Longworth and Keith White created this donor advised fund. It provides them the opportunity and flexibility to recommend charitable grants to HCCF for causes and organizations that meet the fund’s and the family’s objectives. 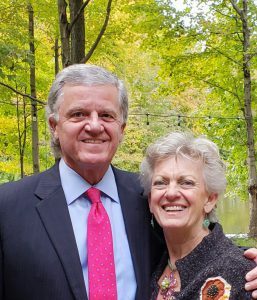 Named for the four members of the Gibble Family and in honor of Mary’s parents, John and Donna Scott, this comprehensive fund provides unrestricted income that allows HCCF the discretion to make grants that meet needs and opportunities as they evolve and change in our community over time. and companies who have unclaimed property. Upon doing so, he sends them a letter making them aware of the situation and inviting them to donate the unclaimed asset to his fund. “What an ingenious way to encourage others to give,” shared Tim Clark, past Ameriana Bank Executive Vice President and Chief Operating Officer. 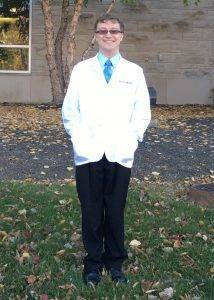 “I was so impressed when I received Tyler’s letter, I wrote a personal check to his fund at HCCF.” Tyler is now a student at Butler University pursuing a pharmaceutical degree. This fund is established by the City to provide charitable benefit to donors for community enrichment activities. Established by the Greenfield Sertoma Club in 2019, this comprehensive fund will carry on the Club’s legacy of service to mankind by addressing Hancock County needs and opportunities as they evolve and change over time. 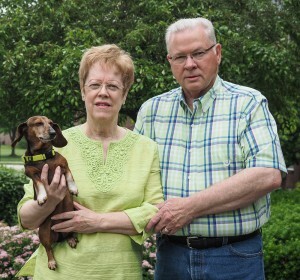 Retirement opened new possibilities for Monte and Tina Gruell. Lifetime residents of Hancock County and graduates of Greenfield-Central High School, both had a deep sense of community commitment. Monte retried from 35 years of service at Kroger, and Tina, from 24 years of administration at Morristown Manor. Tina’s service on nonprofit boards including that of Mental Health Partners and the Greenfield Area Chamber of Commerce, provided exposure to area needs. Monte’s work in retail and Tina’s experience in senior health care provided an appreciation for the change that comes with population growth and new demographics. Founded by the HCCF Board of Directors to provide a perpetual stream of income, this fund allows the organization to sustain its ability to enrich and enhance life through philanthropy for generations to come. Created by HCCF, this comprehensive, unrestricted fund addresses a broad range of needs–including future needs that often cannot be anticipated at the time your gift is made. The Enrichment Fund helps support long-term solutions; respond quickly to emergencies; and meet changing social, cultural, educational, and environmental needs in our local community. The Health and Heritage Fund provides a sustainable funding to the City of Greenfield and the Town of Fortville for the preservation of Health and Heritage Region Stellar Communities projects. Dr. Charles and Betty Jordan will admit they don’t have a crystal ball. They can’t see into the future. They can’t anticipate the needs of Hancock County five, ten, fifty or even a hundred years from now. But they still want to help their community, now and in the future; and by establishing a community development endowment fund, they have done just that. Community development funds are the perfect vehicle for people who embrace Hancock County in its entirety and understand that as our times change, so will our needs. And time is definitely on the side of endowment funds, since all gifts given to the funds are permanently invested and the grants made from the funds are done so as a result of the income they earn over time. How wonderful that a community development fund such as the Jordan’s meets—and, with the support of the Community Foundation, will continue to meet—the changing needs of our citizens for years and years to come. The Jordan’s endowment was created partially by an outright gift (money given now) and partially by a legacy or planned gift (money that will come to the Foundation at their passing). This allows the Jordans to both see the results of their generosity today and know that the impact will continue and be even greater after their lifetime. Their legacy gift will benefit the community development fund at its maturity through a Charitable Remainder Trust that the Jordans established in 2002. This type of trust provides financial benefits to you or loved ones that you have named as beneficiaries. The dividend income from the gift is paid to you or your beneficiaries for a specified period of time; then the principal is either used to establish a fund at the Foundation in your name (or another name of your choosing) or added to an existing fund. “We have been aware of the Foundation from its very beginning,” Chuck and Betty said. “Initially, we did not totally appreciate the importance of the Foundation’s mission to provide the leadership for philanthropic interests in the county. However, with a series of matching gifts from the Lilly Endowment and the success in raising those funds, it was apparent that the Community Foundation was a much needed organization and widely supported. Created by Nancy, known for her immense contribution of time and talent to the community, this fund provides unrestricted income that allows HCCF the discretion to make grants that meet needs and opportunities in Hancock County as they evolve and change over time. 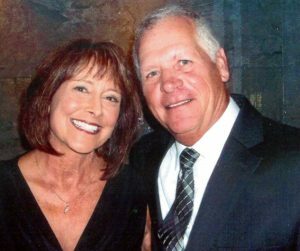 Named in honor of their daughter Jordan, Skip and Ellen established a fund that allows HCCF the discretion to make grants that meet needs and opportunities as they evolve and change in our community over time. 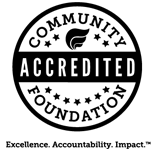 Founded by the HCCF Board of Directors to provide a perpetual stream of income, this fund provides support for the organization’s operating needs and capital improvements. Established by a medical professional who wishes to remain anonymous, this comprehensive fund provides unrestricted income that allows HCCF the discretion to make grants that meet needs and opportunities as they evolve and change in our community over time. 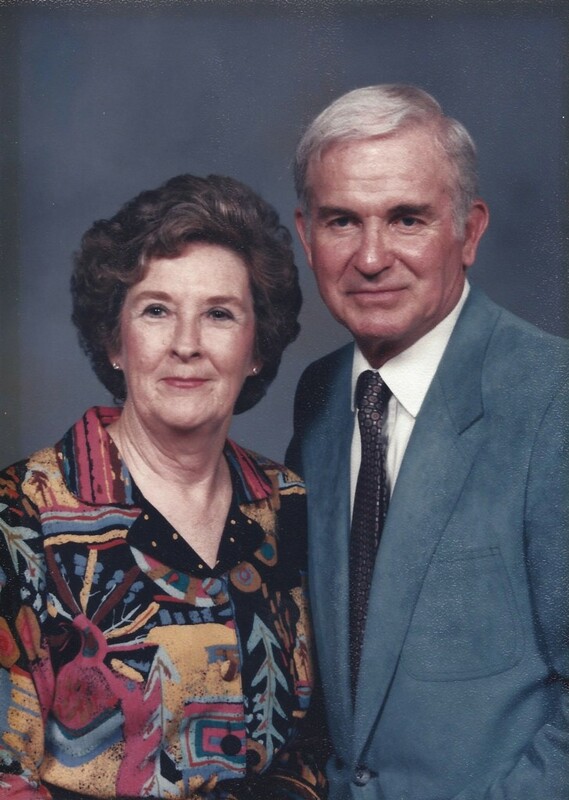 Created by Jim Miller in honor of his parents Dale and Eva, this fund provides unrestricted income that allows HCCF the discretion to make grants that meet needs and opportunities as they evolve and change in our community over time. Established by Jim Miller, Marla Miller Butcher, and Karen Miller Adrian in honor of their parents, this donor advised fund makes grants with special preference to projects and programs in Blue River Township and the eastern part of Hancock County where the Millers were raised. This donor advised fund provides Walter’s family the opportunity and the flexibility to recommend grants to HCCF for causes and organizations that meet the family’s charitable objectives. Created by the Pasco children David, Richard, and Sally when they donated the family funeral home to HCCF, this fund generously provides for the maintenance and operating expenses of HCCF’s building property. Before her passing, Wilma Phares established an unrestricted community fund in memory of her husband Kenny who preceded her in January 2014. Kenny served as one of the founding board members on the Hancock County Community Foundation Board. High School. The couple married in 1953 upon Kenny’s return from his service in the Korean War. 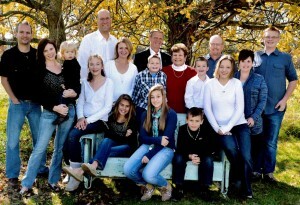 Wilma took pride in her role as a farmwife dedicated to raising her children, Jeff and Susan. Neighbors described them as hardworking, caring, and honest with integrity above reproach. Kenny said, “We tried to do the best job of farming we could and to be good neighbors.” He received the Indiana Prairie Farmer “Master Farmer Award” in 1996 that recognized him for his sound and innovative farm management skills and concern for others. Hancock County Soil and Water Conservation honored them for being good stewards of the land. Faith, family, farm, friends and community were a very important part of the couple’s everyday life. It is appropriate that the fund established in their name will provide discretionary grants that will allow HCCF to address the needs of Hancock County, even as those needs change over time. Established by past HCCF employee Phyllis and her husband Kim Polizotto, this fund will provide operating support to HCCF. Fred Powers is a man of faith and family. His creation of the Powers Gibson Seib Carpenter Joint Family Fund is evidence of that very truth. This donor-advised fund, founded in 2011, is a tool Fred and his wife Becky are using to put their strong faith and love of family into action for community good. It’s no mistake that the fund, fondly called the PGSCJ, represents not only the first initial of each family unit, but the core of the family’s belief system: Praise God’s Son Christ Jesus. “We feel blessed that we grew up in Hancock County. We feel giving back to the community is our way of saying thank you for allowing us to live here,” says the family. 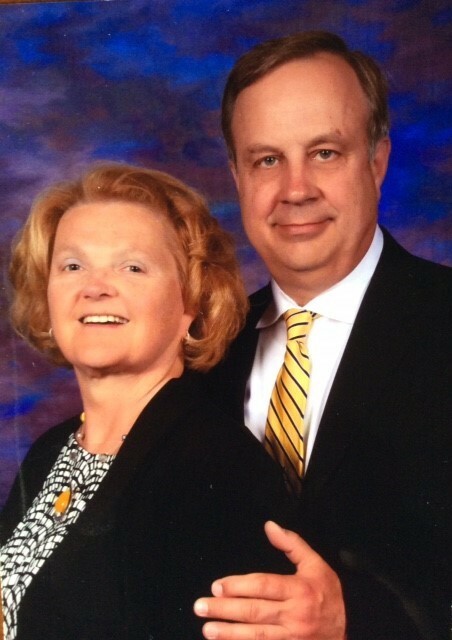 Fred and Becky established a donor advised fund, one that invites donors to make recommendations to HCCF for grants. “Our children are giving people and we wanted to see them be part of a fund, at this stage of their lives, when they can involve their young children. We hope to plant seeds that will take root in our grandchildren so that they may pass it on to their kids. We want this to be a multi-generational process.” Fred’s vision is that, as the grandchildren mature, they will take an active role in contributing to the fund and recommending grants. This corporate advised fund provides employees of NineStar Connect the opportunity to make grant recommendations for Hancock County charitable causes. Employees give generously to this permanent fund to ensure a bright future for the community they serve. Tom served as Board Chair for two years and Vice-Chair for the two years prior to that. Other leadership roles during his tenure include Grants Committee Chair, Finance Committee Chair, and Board Treasurer. Since retirement, Tom has developed a passion for photography and has donated hours to the Hancock County Community Foundation (HCCF) in his unofficial role as event photographer. He and his wife Carol are dear friends of HCCF, regularly attending events and both serving as excellent ambassadors for HCCF. Carol and Tom established the Thomas N. and Carol L. Seng Community Development Fund. Named in honor of their parents, Jim, John, and Charles Shelby established this comprehensive fund to provide unrestricted income that allows HCCF the discretion to make grants that meet needs and opportunities as they evolve and change in our community over time. The Smiths created this donor advised fund to recommend grants to HCCF for causes and organizations that meet their charitable objectives. Giving back is in Doug and Sharon True’s blood. Doug started his career as a management trainee with FORUM Credit Union 29 years ago. Today, he is the CEO. Six years ago, he helped start the FORUM Foundation (http://www.forumcu.com/foundation) that now awards seven $5,000 renewable college scholarships each year and focuses resources on teacher classroom grants throughout central Indiana. He said the Hancock County Community Foundation (HCCF) served as a model for the FORUM Foundation. Though Doug works in Fishers, the Trues take great pride in their Hancock County home (they have lived in New Palestine for many years). This led them to create the Doug and Sharon True Community Development Fund with HCCF in 2015. A Community Development Fund helps HCCF reach out to all charitable organizations serving the arts, education, health, and human services in Hancock County. 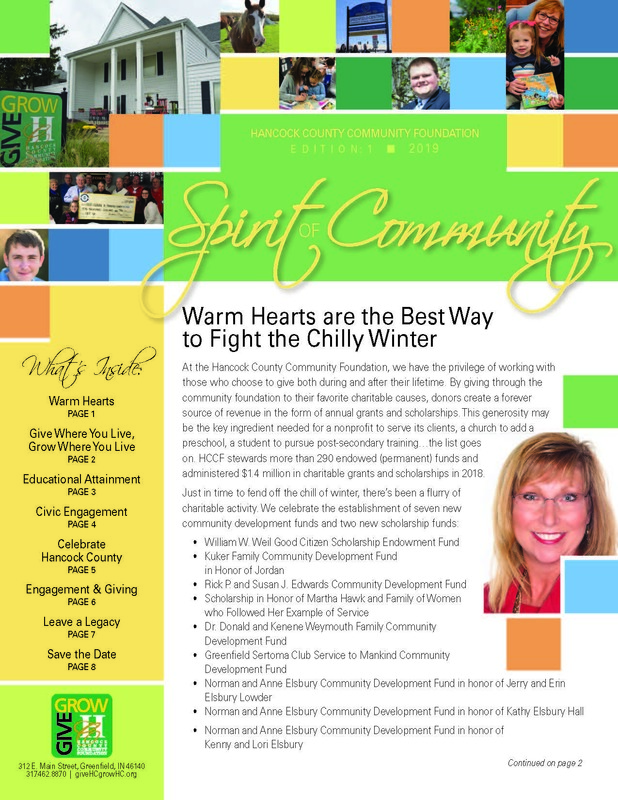 HCCF grants to projects that best meet the community’s most pressing needs, even when those needs change over time. Doug and Sharon said HCCF is uniquely positioned to identify needs their family may not be aware of and react as needs arise. They want to see economic growth in the county and are excited about the opportunity to add to their fund at any time. The Trues have two children, Matthew and Megan. As a family, they continue to look for ways to make a difference in their community. The White family created this donor advised fund with special preference for community development projects involving Shirley, Indiana and surrounding areas. It provides their family the opportunity and flexibility to recommend charitable grants to HCCF for causes and organizations that meet the fund’s and the family’s objectives. Established in memory of their parents, Patricia Edwards, Richard Willits, and Donna Benjamin along with their families, created a comprehensive fund that provides unrestricted income allowing HCCF the discretion to make grants that meet needs and opportunities as they evolve and change in our community over time. 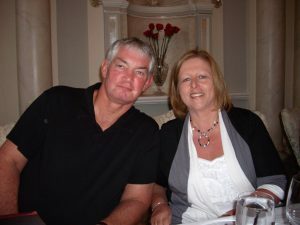 Created by Bob and Sue, this fund provides their family the opportunity and flexibility to recommend grants to HCCF for charitable causes and organizations they feel compelled to support. Those who knew Sharon enjoyed her kind and caring presence. She grew up in Gary, IN and later moved to the Indianapolis area. Sharon and her husband, Tom, were members of St. John United Church of Christ in Cumberland where they volunteered many hours. They also spent countless hours volunteering at the Altenheim Assisted Living Center and the American Red Cross. Sharon and her husband enjoyed traveling, especially going to Florida in the colder months. After the deaths of her husband and three children, Sharon devoted her time to close friends and to causes she cared about. Her philanthropy aligned with her love of community as defined in the Sharon Yates Community Development Fund which provides unrestricted income allowing HCCF the discretion to make grants that meet needs and opportunities as they evolve and change in our community over time. Before her death in 2014, Sharon used the simplest form of estate planning to direct the creation of these funds upon her death. By naming the Hancock County Community Foundation in her Will and directing the creation of the aforementioned funds in the language of her Will, HCCF will forever serve as an instrument of her generosity. Through careful stewardship and diligent administration, many people and organizations will continue to benefit from Sharon’s generosity.